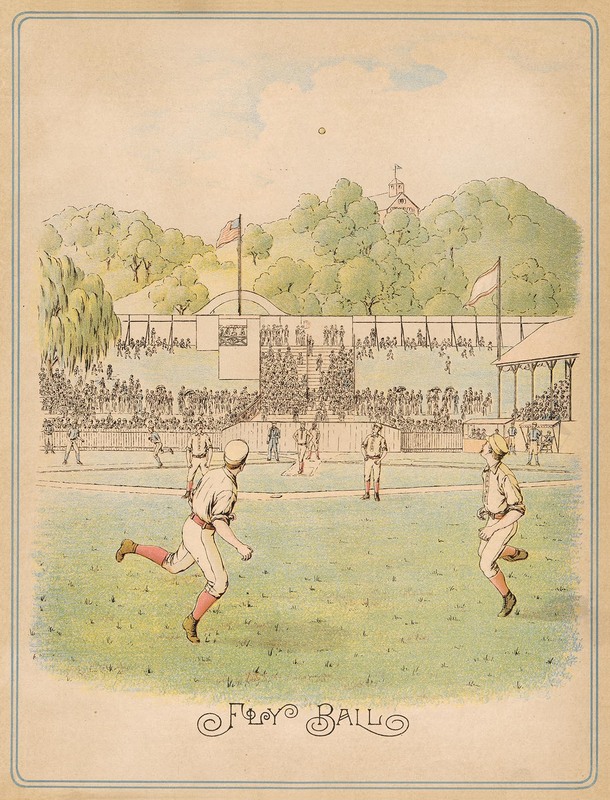 During the latter half of the nineteenth century the compilation of scrapbooks was extremely popular and few homes in America could be found without a family scrapbook prominently displayed in the parlor. 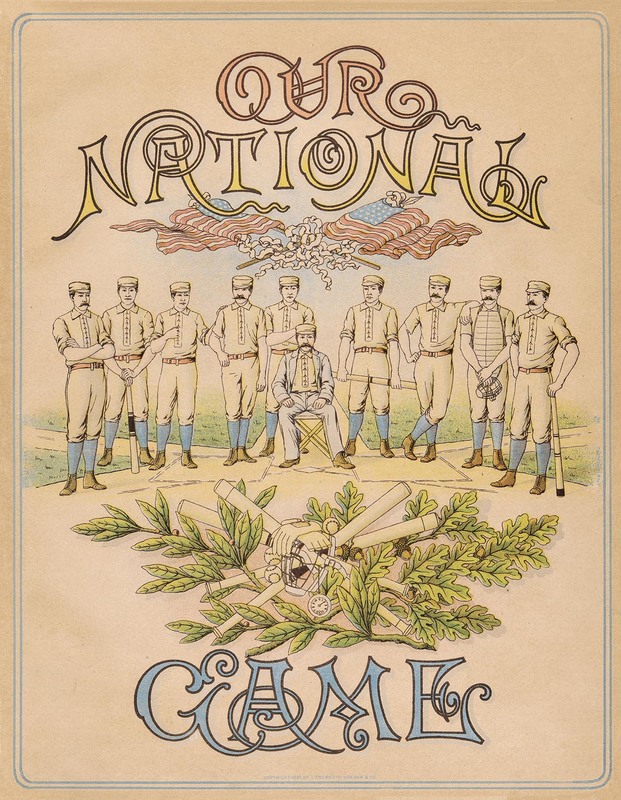 The pictorial title page depicted a standing baseball team surrounding a seated coach, surmounted by patriotic motifs and above a design of crossed bats and equipment. 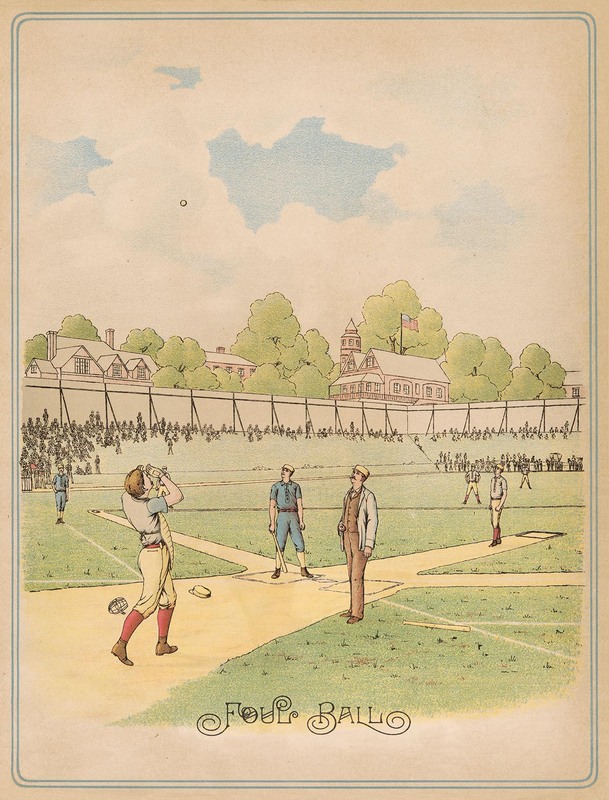 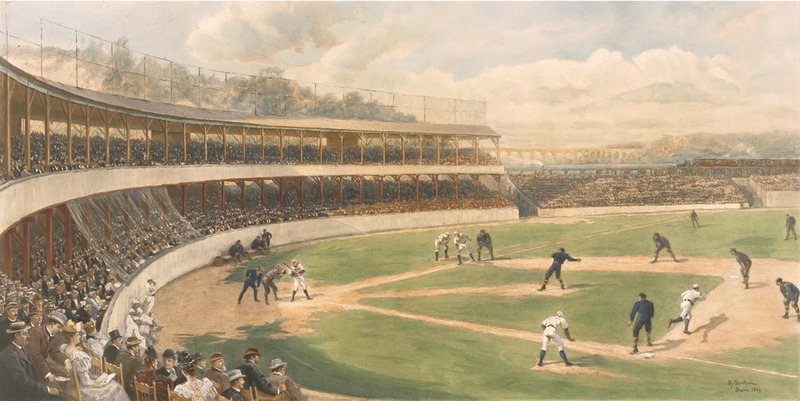 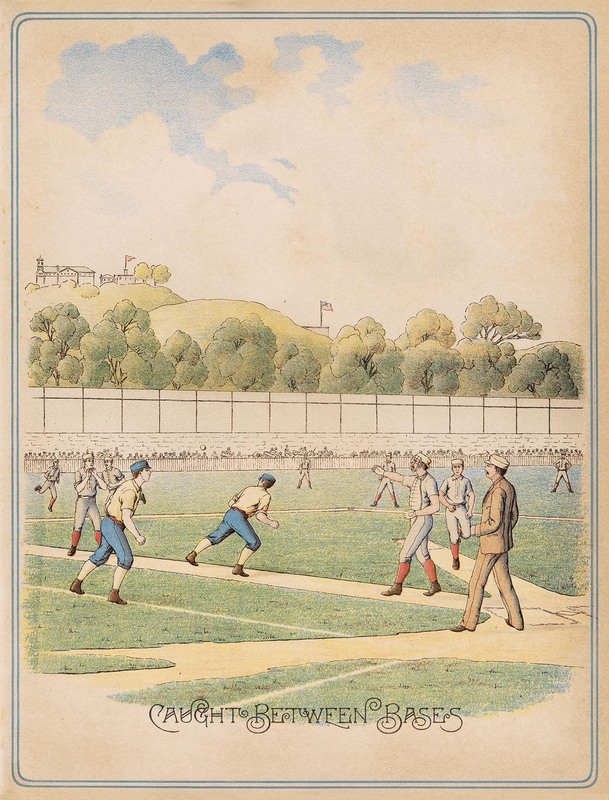 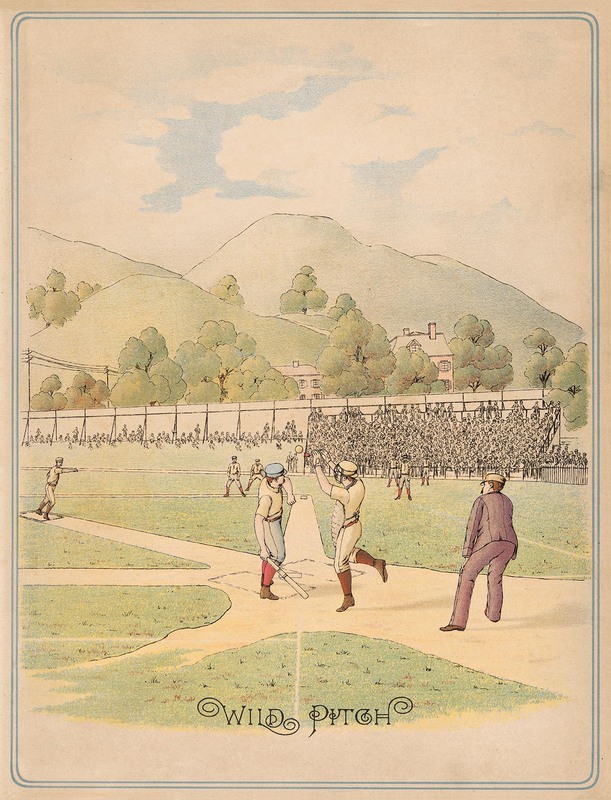 The other illustrations are skillfully rendered field level scenes of a Wild Pitch, Fly Ball, Foul Ball, a runner Caught between Bases, and Home Run — each with extremely interesting details of uniforms, equipment, positions, etc. 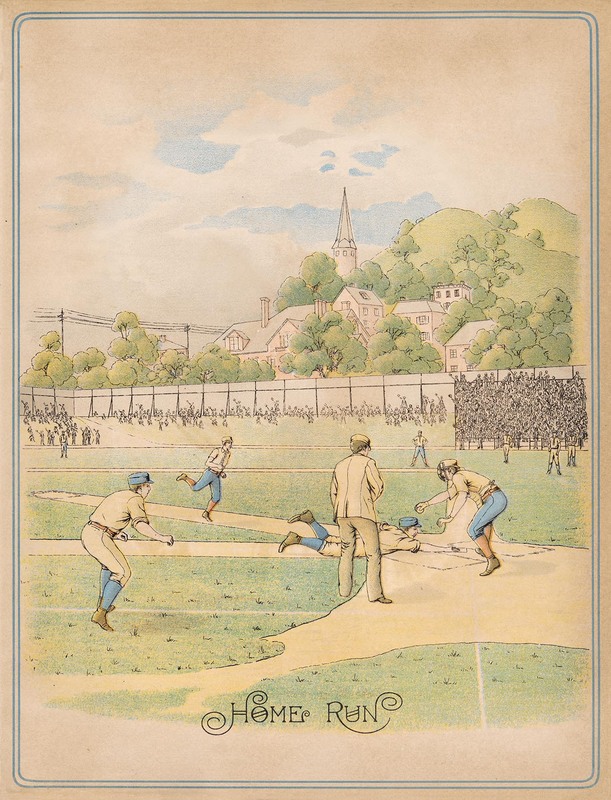 This is a beautiful representation of late 19th Century lithography and baseball artwork, and makes for an outstanding display.